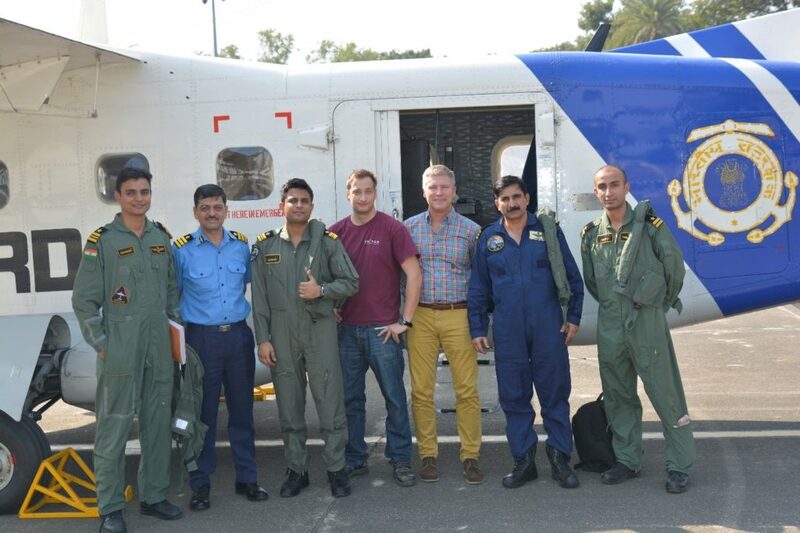 Personnel from the Indian Coast Guard and ST Airborne Systems posing in front of the Indian Coast Guard Dornier 228 after a successful test flight with the upgraded system. Just before the Christmas holidays the Indian Coast Guard received both service, upgrades and initial training on their airborne maritime surveillance system. Emerging from the aircraft after the first training flight the spontaneous reaction from the flight crew was that the upgraded system is much more user friendly and powerful. At ST Airborne Systems we are very happy to hear this and look forward to coming back in January to train more operators on the new upgraded MSS 6000 system.